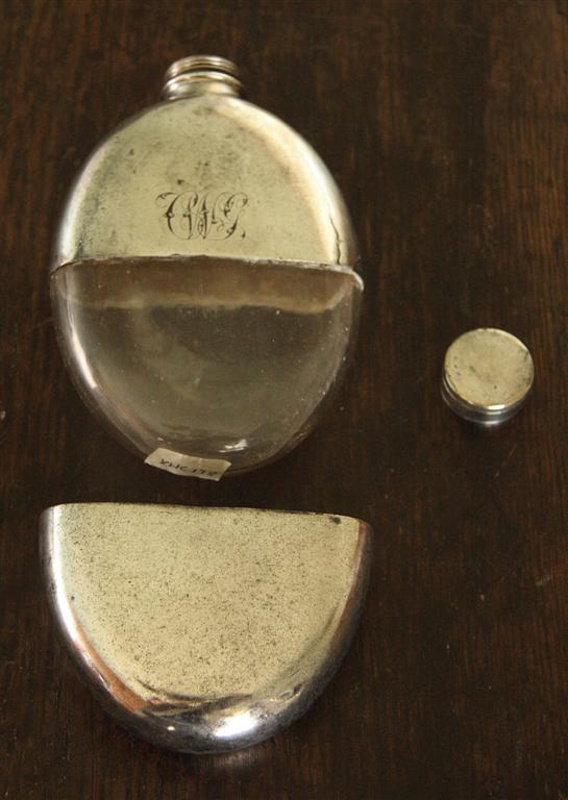 Hip flask; a flat, oval glass hip flask with a silver [?] metal guard over the glass, and a screw top metal cap with a cork interior. 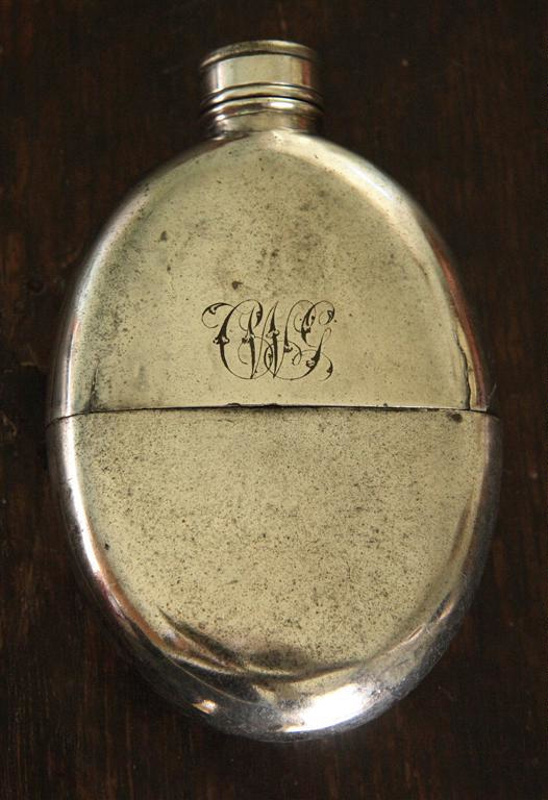 Inscribed on front with the initials CWG [for Clement Govett]. Clement Govett was a barrister who founded the firm Govett Quilliam in New Plymouth in 1879. He married Frances Elizabeth Atkinson, the daughter of Harry Atkinson and his first wife, Amelia Jane. Harry Atkinson was the builder and first inhabitant of Hurworth Cottage. Clement and Frances had four daughters, one of whom was Monica Govett. Monica, who married Rex Brewster in 1920, is well known for her role in the establishment of the Govett-Brewster Art Gallery in New Plymouth.